NIA CHARLESTOWN NEVIS (February 19, 2015) — Nevis now has successfully attracted additional airlift, paving the way for travellers to and from the island via Antigua. The Nevis Island Administration (NIA) signed an agreement with Caribbean Helicopters (CHL), to provide the airlift on February 13, 2015 at the Nevis Tourism Authority’s (NTA) Visitor’s Centre. In brief remarks NTA’s Chief Executive Officer Greg Phillip said the signing signalled the birth of an excellent partnership. He stated that CHL was an airline partner that understood the Caribbean and who the NIA felt would provide for the people of Nevis and travellers to the island with a service that was reliable and comfortable and one that the tourism industry could depend on. Phillip said the new service would also offer a seamless transition for travellers from international flights heading to Nevis. According to the NTA’s Chief Executive Officer, the added airlift was in response to the Authority’s recent successes with attracting visitors from the United Kingdom to the island and to ensure that there was adequate airlift to accommodate the tourism industry. “Its meeting the international flights especially those from the United Kingdom and when it leaves here to go back to Antigua, it is getting in at a time that really allows people from Nevis to connect with flights flying back to the United Kingdom. 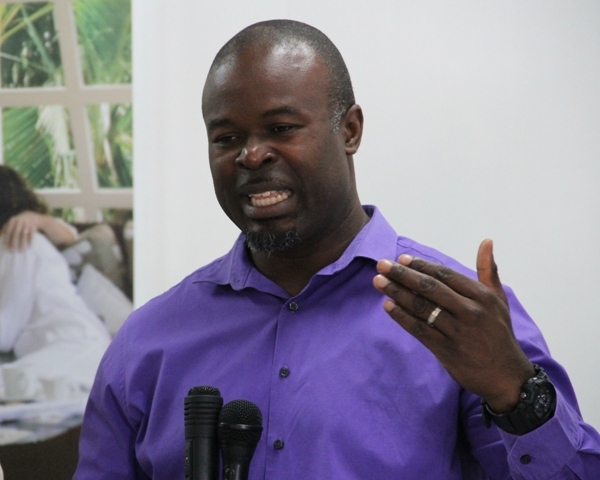 “I think that is exactly what our tourism industry needs at this time as we continue to work hard towards building and improving the number of people who actually travel to Nevis as tourists,” he said.